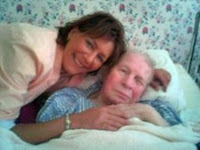 Caregiving has wonderful rewards, but can also be very difficult. Relationships can be tested to the limit when there is a caregiver and care recipient within a family relationship. What are the characteristics that an excellent caregiver has? I believe there are 5 core qualities an excellent caregiver possesses. My belief is empathy is the #1 core characteristic of an excellent caregiver. I often question if this is inherent within us or this is something which can be learned? I tend to believe it’s a lot of inherent and a big mix of environment. I also believe there are degrees of empathy. Some can empathize more than others. If you can totally put yourself in the place of who you are caring for, you will do nothing but provide excellent care. The question is always how would I want to be treated and taken care of under these circumstances? If that is the core basis for how you provide care you will provide caring, compassionate, and dignified care with a great attitude. Someone who is in need of care has lost some degree of independence. They have to be able to depend on the person or people providing assistance to them. Imagine being unable to obtain your own meal, bathe yourself, get dressed, or go to the bathroom independently. Imagine the feelings involved when you lose that independence and have to ask for help. Imagine having no one to count on when you need them. It is difficult enough for a person to lose independence without having the added burden of finding someone reliable to help them. When you provide care, it is crucial that you are dependable. So many vulnerable seniors’ lives depend on the assistance and care of another to live a safe and happy life. Besides children, most care recipients are elderly. As we age our bodies no longer move the way they used to. Add an injury, or physical illness and movement is more difficult, slower and may be painful. Parts of our bodies may not work at all, such as after a stroke, or with a disease such as advanced Parkinsons, or arthritis. With an illness of the brain, such as Alzheimer’s there is memory loss, and loss of the ability to process information. These are some of the examples that would cause someone to move slowly, respond slowly or repeat conversations. It takes a patient person to provide care when we can move and process quickly, but the person we are assisting cannot. I often see caregivers contribute to loss of independence because of impatience. We are in a hurried society and typically spend our lives in a fast pace. It can be difficult to slow down to the pace of the person we are caring for, but it is crucial in excellent caregiving. A good rule is to allow a person to do as much as they can for themselves, and to avoid doing things for a person they can do for themselves. Doing too much contributes to the loss of physical abilities and increased dependence. It can also damage the dignity of a person and this that is an important part of their mental health and quality of life. Give the care recipient ample time to comfortably be assisted with their activities of daily living (ADL’s), and to complete as many tasks as possible on their own. If you aren’t patient, you will end up providing more care, not less. Use the time to slow down your hurried life and enjoy the process of caregiving. Persons with memory loss will repeat questions, and comments. This can be enough to test anyone’s patience when you’ve heard the same question 30 times that day. Here again, empathy is needed. EVERY single time a person with dementia asks a question, they truly believe it is the very first time they have asked it. You MUST respond as if it’s the first time you heard the question askeded. I cringe when I hear a caregiver tell a care recipient with dementia, “I just told you”, or “don’t you remember?” This vulnerable person affected by this horrible disease truly doesn’t remember you just told them, and they honestly cannot remember. These responses typically come with a frustrated tone of voice, and sometimes anger. Again, empathy counts! Imagine asking someone a question for the very first time, and they respond in an angry voice and scowl, and you know you never asked them before. Rather than getting to this point of frustration become a pro at redirection! Sometimes redirection can take awhile to start working because dementia can cause someone to get fixated on something, but the better you get at it, the less your patience will be tested. Direct the care recipient towards something they enjoy, or change the conversation to a joyful time earlier in their life. Photo albums are always helpful in redirection. If the care recipient is angry, and uncooperative, give them space, and a bit of time. If they are not in danger of hurting themselves or others remove yourself from the situation. As I mentioned above, caregiving can be very difficult. Whether you are paid or unpaid there will be days and times when you feel like you are at your limit. You may be having a bad day yourself, the care recipient may be having a bad day, or you are just burned out. Times like these call for strength. You must be strong enough to recognize when you are in need of time off, when you need to adjust care, when you need to dig deep within yourself for patience. Recognize what your weaknesses are and when to get additional assistance. If you get frustrated and exhausted it will not only affect you, but it contributes to the person you’re caring for feeling like a burden, and everyone loses. Caregivers have to be some of the most flexible people I know. Things can change in an instant when you are caring for someone. Family members can be called home from work, need to get their loved one to the doctor, or hospital. The health situation can fluctuate, and personality and behavior can change on the drop of a dime. Caregiving is best for people who can adapt quickly, and accept change easily. Being kind, and gentle stems from empathy and patience. Obtaining the best healthcare possible is a result of empathy and strength. Keeping the care recipient safe comes from empathy, dependability and strength. Every situation and every caregiving moment spent will require empathy. Whether you are providing care now or will be in the future, you have to ask yourself if you are able to put yourself in the shoes of the person, or people you care for. Care recipients deserve no less than the best we have to offer. Angil Tarach-Ritchey (RN GCM) has over 30 years of experience, and is a nationally known expert in senior care and advocacy.